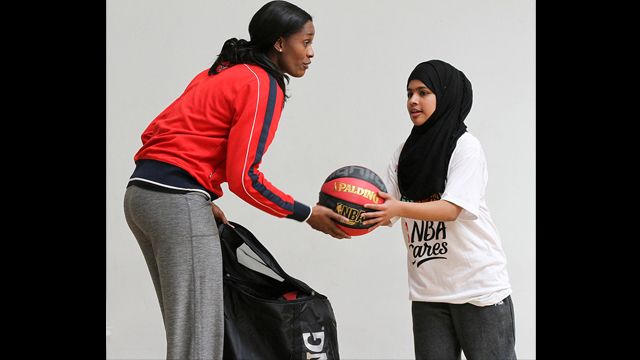 Swin Cash shares her skills through drills with a young player from England. The London clinic participants line-up for a drill. 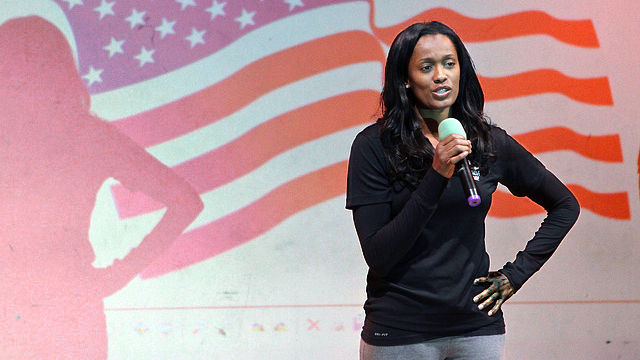 Current WNBA Player and USA 2012 Women’s Olympic Basketball Team Player Swin Cash speaks to a group of students in London. 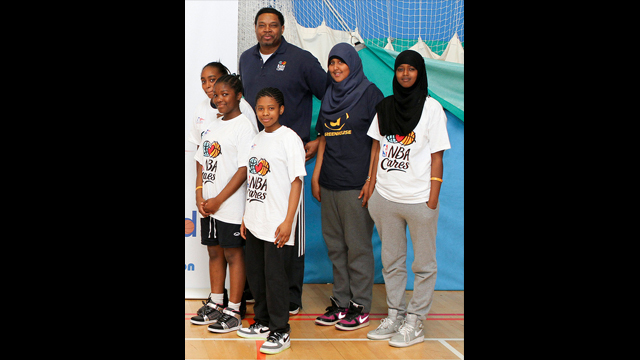 Former NBA Legend Sam Perkins poses with young players from London. Sam Perkins gets hands on with clinic participants. 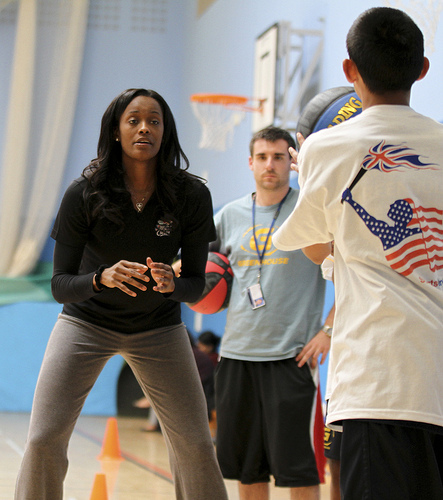 Swin Cash works with a teenage girl in London. 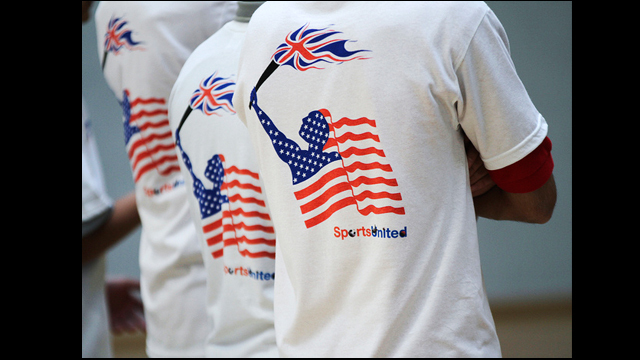 Special T-shirts were made for all participants. 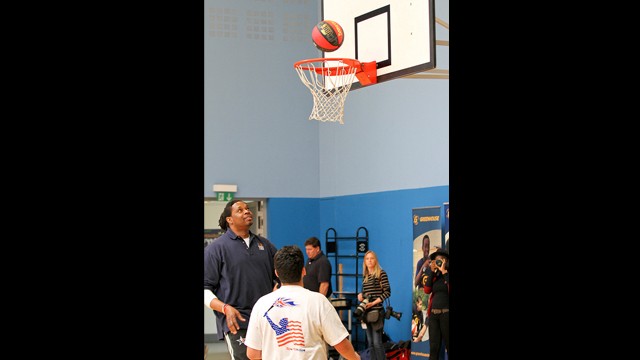 Partnering with the NBA and WNBA and working with the U.S. Embassy in London, U.S. State Department Envoys Sam Perkins and “Swin” Cash traveled to the United Kingdom for the 2012 Olympics. 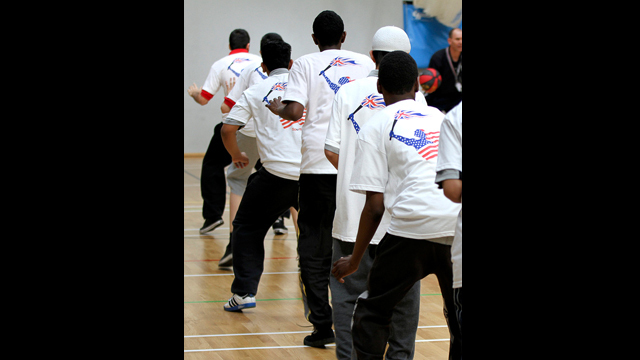 They led basketball clinics and engaged with youth in two boroughs near London that hosted Olympic competitions. Perkins and Cash connected with the girls and boys by playing ball and discussing the importance of teamwork, respect for diversity, and education. Photo Credit to U.S. Embassy London Photographer.